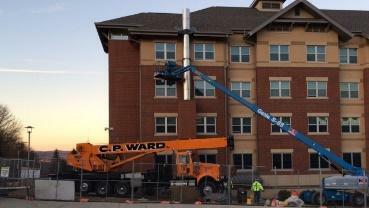 We provided structural engineering services for the design of new multi-story exterior chimney enclosures at existing dormitory buildings. The design included the need to structurally support the enclosures over and around existing foundation elements and extend above the dormitory roof structure. Approximate construction cost: $.35 million. HSE provided structural engineering services for the design of several new free-standing entrance canopies. The design included the use of arched translucent roof panels. Approximate construction cost: N/A. 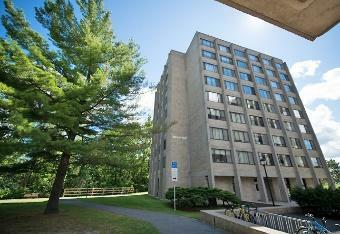 As structural engineer, HSE designed several modifications to Brockway Hall. The many structural modifications included adding an interior elevator shaft and an attic maintenance catwalk system. Approximate construction cost: $.85 million. HSE provided the structural design for several speaker support attachments to various buildings in 2012. Construction Costs: N/A. In 2014, HSE was the structural engineer for two new 2-story wood framed housing units with an area approximately 5,500 square feet each. 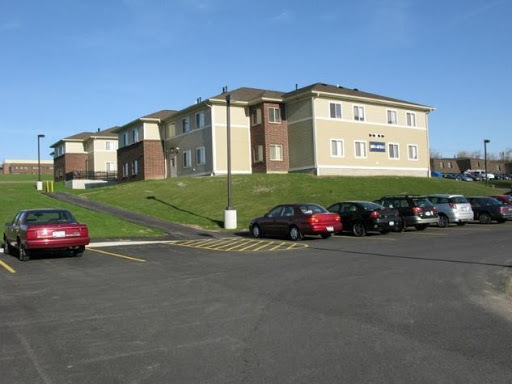 Each building contained 8 housing units. In 2016, HSE prepared all drawings and calculations for carbon fiber slab reinforcing to be installed for proposed mechanical floor penetrations. Approximate Construction Costs: N/A. HSE is a consulting engineering firm that specializes in the design, repair and restoration of building structures.